Haley Tilt ’16 looked at how late Romans thought about childhood. Chinese major Ian Connelly ’16 and classics major Haley Tilt ’16 have won the William T. Lankford III Humanities Award, which recognizes accomplishment in both history and literature and is given to students with outstanding academic records and strong potential for further achievement. 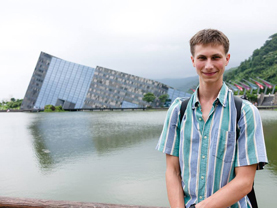 The award committee praised Ian for his “exceptional” thesis on the Folk Memory Project, a series of documentary films about the Great Chinese Famine of 1959–61 in which young urban filmmakers returned to their native villages to interview old folks there about their experiences during the famine. He showed how the contingent, specific, and performative qualities of memory were purposed to forward an alternative history to the one promoted by the communist state. The films operate in an alternative but not oppositional way vis-à-vis the state and therefore are able to pursue practices of public discourse in China without arousing state censoring mechanisms. Ian Connelly ’16 examined a film project about the Great Famine of 1959-61. 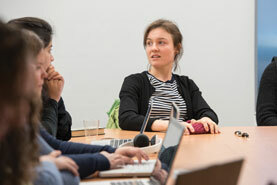 Haley wrote her thesis on ideas about childhood in the Roman province of Africa Proconsularis, which included bits of modern-day Algeria, Tunisia, and Libya, during a time when a new religion known as Christianity was exploding across the region. She examined archaeological evidence like gravesites and epitaphs as well as literary evidence like poetry and letters. “Haley wove together an analysis of literary, epigraphic, and archaeological evidence for understanding childhood in a specific province of the Roman Empire,” said her adviser, Prof. Thomas Landvatter [classics 2015–]. The Lankford Award honors the memory of Prof. Bill Lankford (1946–1983), a distinguished teacher of English and humanities who served Reed from 1977 until his untimely death in 1983.